The July issue of The Auk has just been published by the American Ornithologists’ Union, and like every year, it contains a supplement to the AOU Check-List. The ABA Checklist automatically adopts changes in taxonomy adopted by the AOU, so these changes are in effect immediately with regard to the ABA Checklist. CHANGES THAT AFFECT CANADA AND THE U.S. The “Little Shearwater” which occurs off eastern North America is now called Barolo Shearwater (Puffinis baroli). A record of “Little Shearwater” from California is no longer considered to have been identified unequivocally. That’s it for species splits. Now onto the scientific name and checklist sequence changes. The following species are now placed within Calidris, and their former monotypic genera disappear. The sequence of species within the genus Calidris changes to the following, keeping in mind the genus’s new members outlined above. The name for the sandgrouse order was changed from Pteroclidiformes to Pterocliformes. Flammulated Owl is moved from the genus Otus (that of the Old World scops-owls) and placed in a new, monotypic genus. Its scientific name is now Psiloscops flammeolus. The scientific names of some of the silky-flycatchers change. Genus Ptilogonys (including Gray Silky-flycatcher) changes to Ptiliogonys. The family, of which Phainopepla is also a member, changes from Ptilogonatidae to Ptiliogonatidae. The sequence of species in the mimid family changes as follows. Species not currently on the ABA Checklist are marked with an asterisk. The sequence of the three Haemorhous (formerly Carpodacus) finches has changed to the following. The subfamily Drepanidinae (Hawaiian honeycreepers) disappears, as it is subsumed into the subfamily Carduelinae. The Hawaiian honeycreepers really just are, it seems, highly-diverged members of the goldfinch clan. Their position in the list changes, now coming immediately after Eurasian Bullfinch, but their internal sequence is unchanged. Hawaiian Creeper, one of those aforementioned honeycreepers, gets a change of scientific name. It was formerly a member of a monotypic genus: Oreomystis. It is now Loxops mana. It shares this genus with ‘Akeke’e and ‘Ākepa, and it now precedes the former in the checklist sequence. The Cuban endemic Bare-legged Owl has its monotypic genus changed. It is now Margarobyas lawrencii. Formerly known as Cuban Screech-Owl. Green-crowned and Violet-crowned woodnymphs are lumped into Crowned Woodnymph (Thalurania colombica), based on apparent interbreeding in Colombia. In Pamama, however, the two are not known to come into contact. Western Slaty-Antshrike has its common name changed to Black-crowned Antshrike. Genetic evidence shows it is not related to the South American slaty-antshrikes (sensu stricto). Zeledon’s Antbird (Myrmeciza zeledoni), found from Costa Rica to Ecuador, is split from Immaculate Antbird (M. immaculata) of Colombia and Venezuela. Rufous-rumped Antwren has a change of genus. It is now Euchrepomis callinota. Thrush-like Schiffornis split into four species, among them two are found in North America: the dull, olivaceous Northern Schiffornis (Schiffornis veraepacis) and the more reddish Russet-winged Schiffornis (Schiffornis stenorhyncha). Northern Schiffornis is found from Mexico south into Peru. Russet-winged Schiffornis is found from central Panama to northern Venezuela. 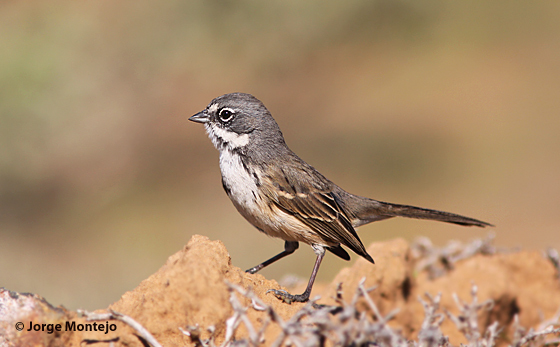 Where the two species are in close proximity, Northern is often found at higher elevations (with Cerro Pirre being a notable exception). The two species are visually and vocally distinct. The genus Chloropipo is dissolved into Xenopipo. This impacts Green Manakin, now Xenopipo holochlora. Golden-headed and Red-capped manakins are moved to a new genus. Red-capped Manakin changes from Pipra mentalis to Ceratopipra mentalis. and Golden-headed from Pipra erythrocephala to Ceratopipra erythrocephala. The checklist sequence of the manakins also changes, as follows. The scientific name of the (almost certainly paraphyletic but not-yet-split) Common Bush-Tanager changes from Chlorospingus ophthalmicus to Chlorospingus flavopectus. A change in genus name for Yellow-crowned Night-Heron from Nyctanassa to Nyctherodius. Split of American Thalasseus acuflavidus (Cabot’s Tern) from Sandwich Tern. Split of Guatemalan Pygmy-Owl (Glaucidium cobanense) from Northern Pygmy-Owl. Split of Velasquez’s Woodpecker (Melanerpes santacruzi) from Golden-fronted Woodpecker. Split of Myiarchus flavidior (Ridgway’s Flycatcher) from Nutting’s Flycatcher. Ridgway’s lives in seasonally wet habitats on the Pacific slope of Middle America from Chiapas to Costa Rica. Further splitting of Canada Goose. Lump of the three American-breeding rosy-finches into American Rosy-Finch (L. tephrocotis). Providence Petrel, on the basis on multiple birds photographed off Attu in 2011. Also known as Solander’s Petrel. Common Moorhen (sensu stricto), based on 2010 Shemya I. record. Rosy-faced Lovebird, based on the established population in the Phoenix, AZ area. Also known as Peach-faced Lovebird. Nanday Parakeet, based on the established population in Florida. Also known as Black-hooded Parakeet. Asian Rosy-Finch, based on the 2011 Adak record.